Albuquerque NM—Thursday, June 16, members of the U.S. Senate, by a margin of 73-27, voted to eliminate a tax credit and a tariff that subsidize ethanol production, according to an article in Bloomberg News. The vote signals a major change in public opinion. It shows that telephone calls to members of Congress can tip the balance in favor of or in opposition to an issue. Earlier this week, Energy Makes America Great Inc. sent out a newsletter to its more than 7,000 subscribers requesting they call their senators to ask them to pass an amendment designed to end ethanol subsidies. Other organizations supporting the effort also sent messages to their members. On Tuesday, an amendment to do away with the subsidy was offered by Oklahoma Republican Senator Tom Coburn. It went down to defeat 59-40, basically along party lines—though some democrats sided with Coburn and not all republicans did. A bi-partisan coalition formed by Coburn and California Democratic Senator Dianne Feinstein brought the amendment forward on Thursday, and the vote indicates that many Democrats actually oppose the subsidy. Thursday’s vote was along regional lines. Ethanol was originally brought up in reaction to a purported energy crisis and the crisis of man-made climate change—neither crisis exists. 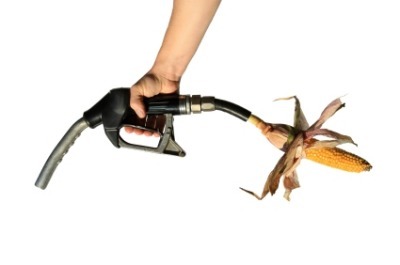 When it became obvious that the creation of ethanol takes corn away from the food supply, is less efficient than gasoline as a fuel, and, in reality, uses more energy derived from petroleum than does expending the energy in a gallon of gas, people began to shy away from the subsidy. Although the Obama administration opposes doing away with the subsidy, which expires at the end of December, this vote indicates it may be difficult to extend the tax break and tariff. 2 questions here, 1 does it need to be signed by the pres? or its done with? Joseph–at this point, this is a symbolic victory only. What passed is an amendment to a bill that will probably not pass. But it does signal a major shift in public opinion–and therefore how the Senate votes.